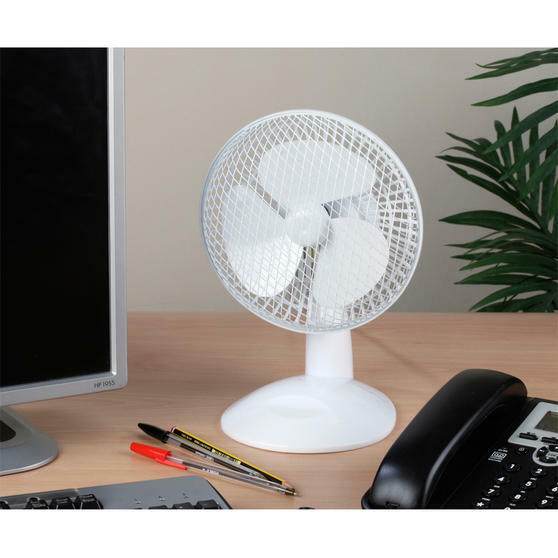 This 6" Desk Fan is the perfect way to keep cool this summer. 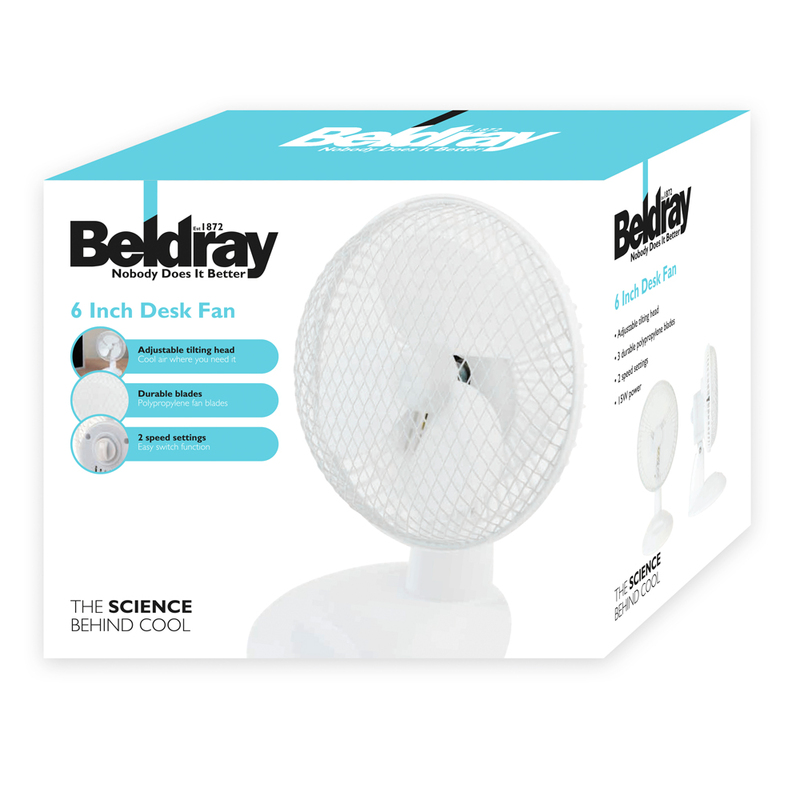 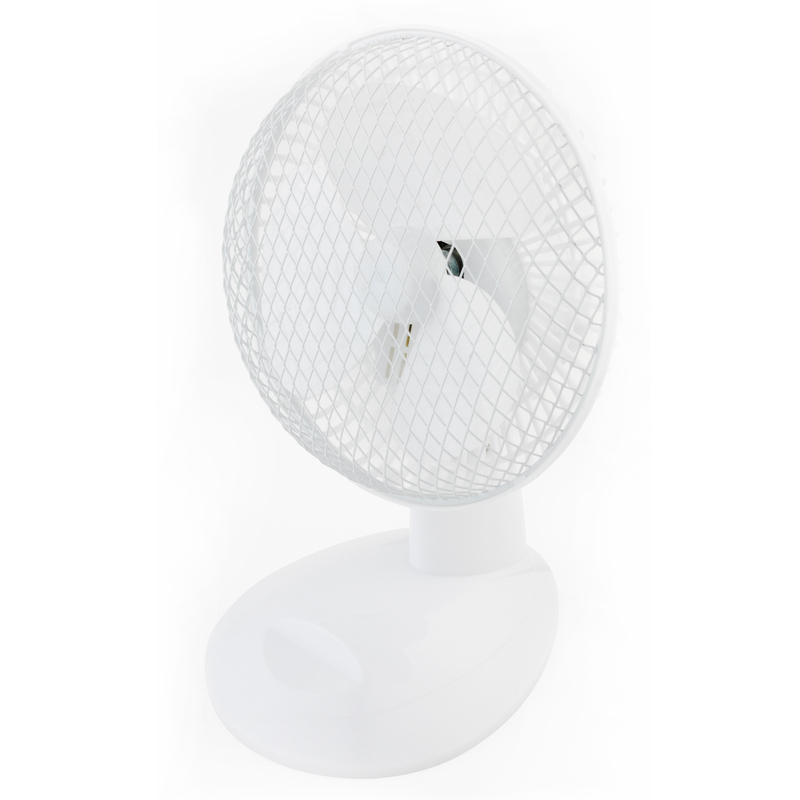 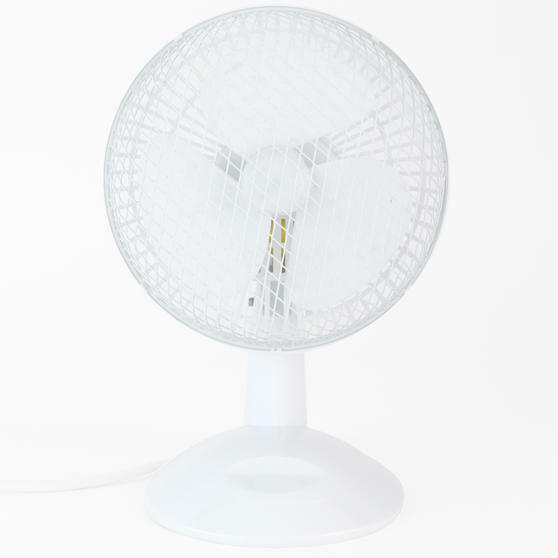 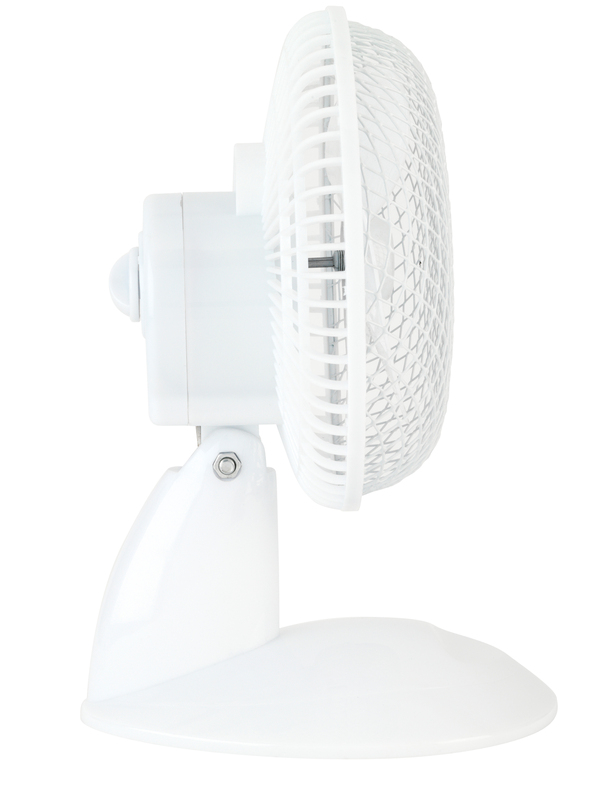 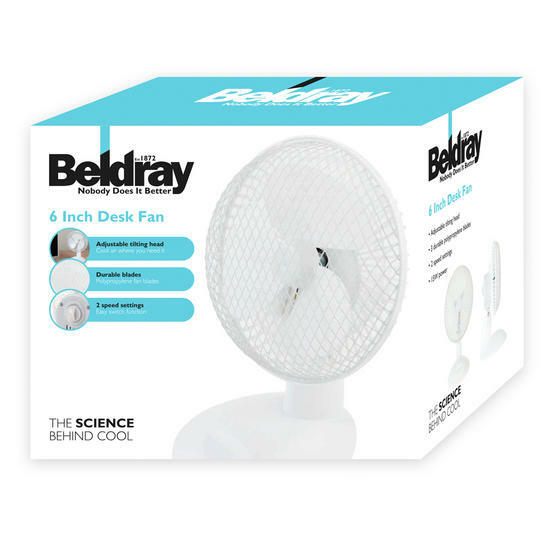 With 2 speed settings, and 3 polypropylene blades this fan can keep you cool on even the hottest of days. Its compact size makes it suitable for use in even the smallest areas, including office desks.